Lemonade Makin' Mama: Mr. Darcy. (And a Winner.) 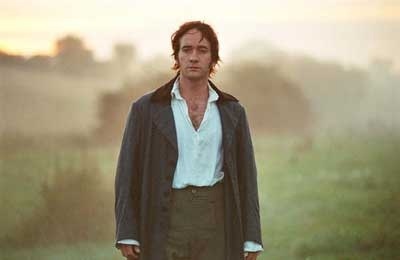 Or Mr. Darcy...the winner. Ha! Mr. Darcy. (And a Winner.) 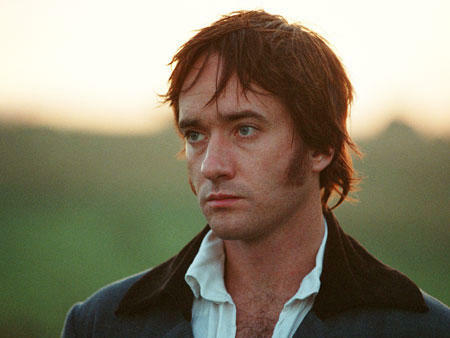 Or Mr. Darcy...the winner. Ha! Last year I posted on Mr. Darcy for Valentine's day. Somehow... it just seems fitting to slather photos of him all over my blog once a year. I just thought we'd all enjoy it....well, all but my friendly male readers... sorry guys, but you'll just have to take one for the team. And Adrain, I'd really appreciate it if you'd please not harass me all day long about his hair. I happen to like his hair... it's "romantic flowing" hair. I think. Just leave it alone already. We girls like him okay? And also, no comments about his clothing. They are not "ill fitting" or "sloppy," as previously pointed out by you. He was hurrying to Elizabeth in this scene, because he couldn't sleep. Love this version of Pride and Predjudice!!! Mr Darcy..... dreamy. Ah Mr. Darcy. I love this version but imo his performance (or the direction of his performance) was the weak link. Have you seen the long BBC one? When Mr Darcy (Colin Firth...swoon) beams at Elizabeth across the room while she helps his sister at the piano forte, I melt everytime. Oh to have a guy (preferably who looks like Colin Firth) glow at me like that. And I love those long dusters the men wore. The new Mr. Darcy is cute and the new film exquisite. Hey! Hi! I've seen pictures of Mr. LMM and I think you should forget all about this dude. He's got nothing on your feller! 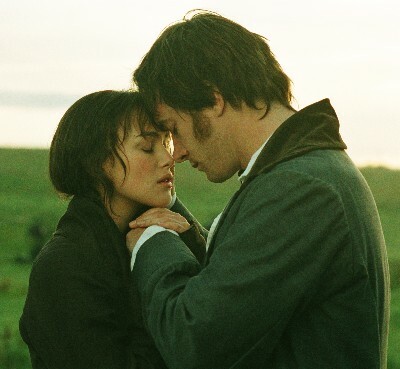 I may be throwing away my "girl card" by saying this - but I've never read nor watched Pride and Prejudice...in any form. 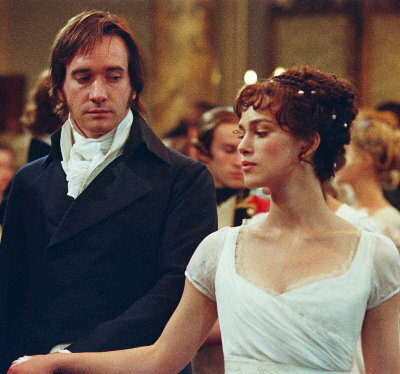 Mr. Darcy is amazing and dreamy and perfectly mannered. What version is this? I have two versions and I don't recognize this one. I love Pride and Prejudice and Sense and Sensibility, too! Can I come over? I might need to as I have never seen Pride and Prejudice. This version of P&P is a one of my favorite sleepy films. The music and his voice are just lovely...though, I do much prefer Colin Firth's overall Darciness. I have to agree, Colin Firth is definitely the one to SWOON over and I am OLD!!! I love it and need to see when it is showing again. 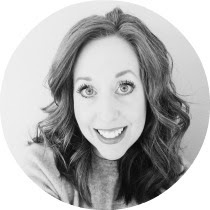 Have a great day and I hope your hubby doesn't find your candy stash and eat your last two Reeses hearts!!! SAD DAY!!! Doesn't start the love day off very well for this girl!! Gasp...I've never see it. I should watch. I hope you enjoy this very special day...ooh, and don't you have a fun trip coming up!!! At he risk of showing my age, I just have to say that Colin Firth IS Mr. Darcy! I love this version! The moment of their first touch when he is helping her into the carriage is my favorite part. Great Idea. Pride & Prejudice will be the movie of the evening. ok, seriously i love Darcy, and yeah i am a little late to the party here, but you have got to go with the collin firth Darcy from the BBC version!!! OMGOODNESS it is soooo much better! find 6 hours of your life and watch that one, you'll thank me!